The 10th anniversary of Clerkenwell Design Week sees 100- plus, world-class design showrooms partner with CDW, providing an array of stimulating events, talks and workshops. From collaborations and talks with Tom Dixon at Ege Carpets to new designs by Ronan and Erwan Bouroullec for Established & Sons within an interactive workspace at Fora, visitors can experience a host of exciting events and new product launches at CDW. Coinciding with CDW’s 10th anniversary, an abundance of new showrooms will arrive in Clerkenwell including Hitch Mylius, Abstracta, Sedus and Workstories. 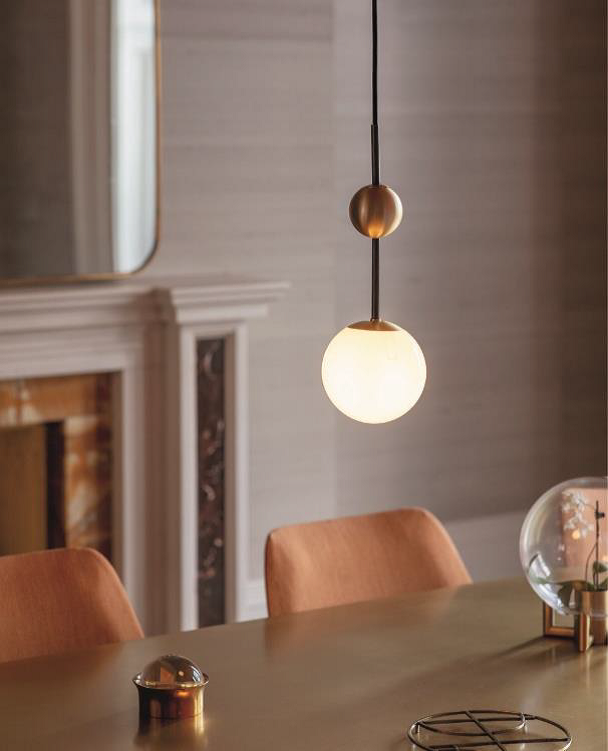 Award-winning British luxury lighting brand Bert Frank will open its first showroom in EC1, exhibiting new designs including Rift, Spate and Rote which reference Art Deco and industrialinspired aesthetics. Danish furniture brand NORR11 strives to reinvent Scandinavian design to create timeless pieces of furniture. In their new EC1 showroom, they will showcase collaborations with innovative young designers championing craftsmanship and quality. Fredericia will officially launch pieces by the Danish American designer Jens Risom in the UK for the first time during CDW. Wallcovering and upholstery company Vescom develops, produces and distributes high-quality interior products for the international contract market. 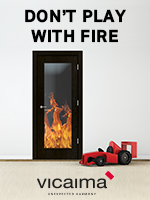 In their new showroom, they will showcase eye catching designs and sustainable materials. Duravit, the award-winning international manufacturer of designer bathrooms will showcase over 20 collections within their new Clerkenwell showroom. 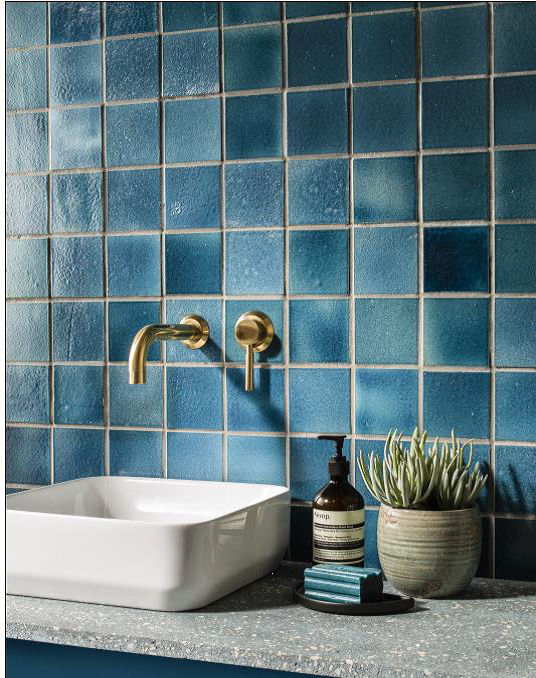 Parkside, the design-led tile specification company will be launching Sequel by Alusid, a sustainable tile range featuring 98% recycled content. Sustainability forms the focus of activities at the new Parkside showroom in Clerkenwell, a light-filled hub for the design community with a café, tile gallery, design studio and co-working space where they will be launching several exclusive tile collections. Other new showrooms opening include: Optelma, Welltek, OB&B, Ideal Standard, Palau, KOPLUS, jdd, 2tec2, applelec, Piemme Industrie Ceramiche S.P.A, Haiken Ltd, Savile Row Projects, A&F Howlands TA William Hands, Staverton, ABL, JPMA GLOBAL, PRO-TEK Flooring and TTC Consulting London Limited. 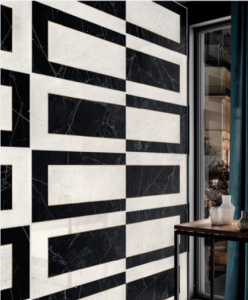 From an array of high-end furniture and lighting to the best of kitchen and bathroom brands, there are plenty of products and showrooms to explore at this year’s CDW 2019. For this year’s Clerkenwell Design Week, leading Asian design brand Stellar Works will showcase the UK premiere of The Crawford Collection, a new range designed by the Australian designer Tom Fereday. 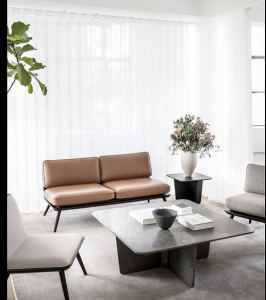 Released in association with the luxury retailer Lane Crawford, the collection comprises a sofa, tables, a bed and a dining chair, with designs that utilise natural materials, tactile finishes and subtle, yet elegant details. Designs by Tom Fereday and Stellar Works both represent a fusion of cultures and illustrate the increasing strength of the contemporary design movement in the Asia Pacific region. Premium furniture designers, Flokk and jewellery designer, Ruth Tomlinson, have partnered to bring Ruth’s atelier to the Flokk Showroom during CDW where guests will be able to participate in workshops which explore the jewellery-making technique of ‘sand casting’. A technique that results in minimal waste and encourages the recycling of materials. The Arper showroom has partnered with CDW for the fourth consecutive year to host the official digital hub of the Festival and showcase new collections for the first time to the UK market. Camira Fabrics will be recreating two textiles by Jens Risom whose legacy has come to embody the mid-century modern design movement. Captured within their mid-century modern showroom, new textiles, Zap and Armadillo will be available in dynamic colours and textures. 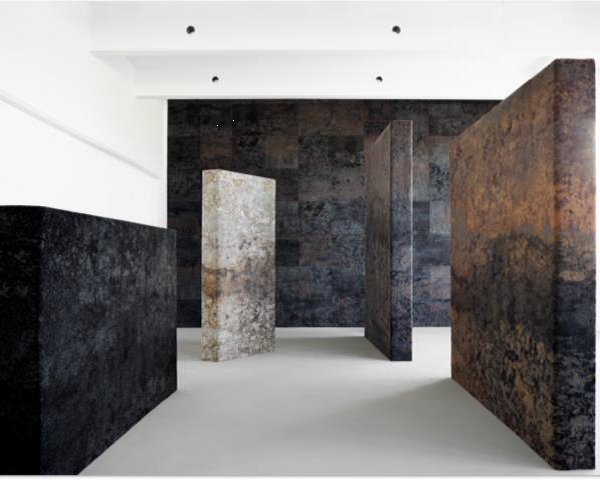 Danish carpet brand Ege will showcase new additions to their Industrial Landscape collection, created in collaboration with world renowned interior designer, Tom Dixon who will also be speaking about his design philosophy in the space. Orangebox have created five floors of Smartworking products designed to host a rich diversity of work settings, from open collaboration to private settings, alongside a series of workshops and seminars across the three days. 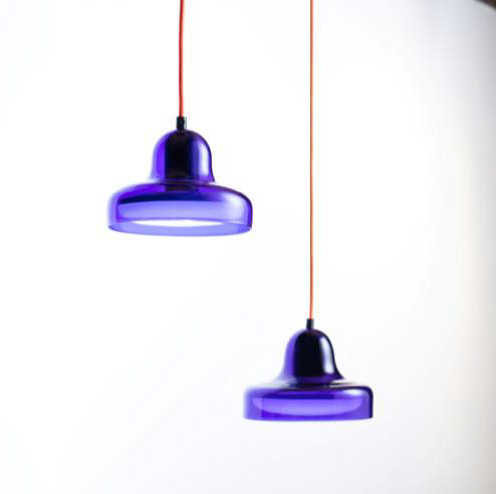 Deadgood will be showcasing an eclectic collection of British made designs in collaboration with some of the UK’s most talented young designers and will present their new Bristol Light. For the fourth year running, the Arper showroom will partner with CDW to host the digital hub of the Festival. Bloggers can enjoy their own dedicated venue within the Arper showroom, an ideal place to work and relax, with free Wi-Fi and refreshments. To celebrate 10 years of Icons, Icons of Denmark will host a variety of activities. Expect innovative virtual reality workshops, lighting installations that explore the contemporary workplace and panel discussions with leaders in modern design. Furthermore, visitors will have the chance to discover the latest additions to their 2019 collection. Tarkett is welcoming visitors to experience The Great Indoors at its showroom, offering a packed programme of parties, art and music, thought-provoking workshops, roundtables to imbue creative-minds with a sense of wonder and excitement. With veganism on the rise, Ultrafabrics offer a range of premium, animal-free materials that are reshaping the world of performance fabrics. Crafted in their Japanese mill using the proprietary production process, their passion is the creation of unrivalled sensorial experiences. 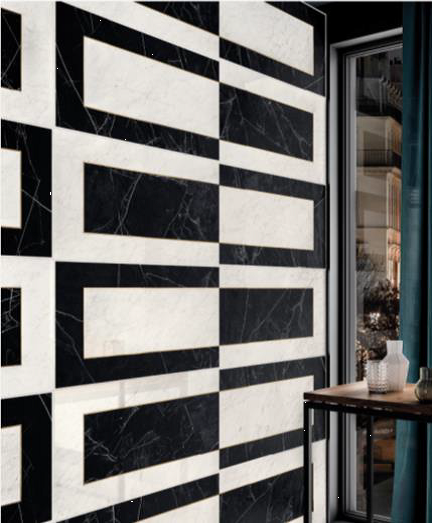 Ceramic flooring company Ceramiche Piemme will present the latest collection of stoneware tiles and slabs including “Abbey Road” which takes its cue from the famous Beatles icon-photo, immortalized in the namesake street in London. Award-winning British contract furniture brand, Hayche will launch the Kensington Collection designed by Faudet Harrison at CDW. 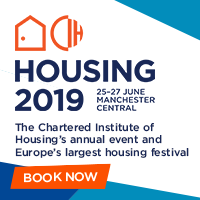 Other showrooms participating include: Thinking Ergonomix T/A Thinking Works, ISOMI, Interface, Boss Design, Porcelanosa, Dauphin UK Ltd, Andreu World, Shaw Europe Ltd, Cosentino, Davison Highley Ltd, Havwoods, Solus Ceramics, Kinnarps, Flokk, MOSA bv Arper UK Ltd, Sven Christiansen plc, Morgan Contract Furniture, Ocee Designs Ltd, Actiu, Lintex, Umbrella Furniture, Bene PLC, Moroso Ltd, Boen UK, Marazzi Group, Domus, Ultrafabrics, Brunner UK, Hansgrohe UK, Humanscale, Mark Product, Bisley, Modus, Verco Office Furniture, Assmann, Haworth and Kusch + Co.
For Clerkenwell’s 10th anniversary, a plethora of exciting pop up showrooms and workspaces will take place during the festival. Established & Sons will take up residency in Fora to launch four new designs including The GRID SOFA by Ronan & Erwan Bouroullec, the KD TABLE and BEAM TABLE by Konstantin Grcic and the LUCIO CHAIR by Sebastian Wrong. 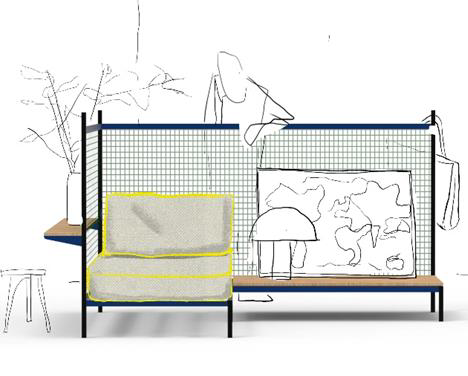 Conceived as a complete take-over of Fora’s breakout spaces, the installation will invite visitors to explore the possibilities of Established & Sons’ new, innovative designs by trying them out with hot-desking, wi-fi and refreshments from Fora’s in-house cafe. The installation will be complemented by a series of talks, workshops and events. Visitors can discover the French design scene at ?KIOSK!, a pop up showroom curated by Londonbased lifestyle communications agency 14 septembre. They will present a selection of lighting, furniture and tableware from a selection of the best French design brands. 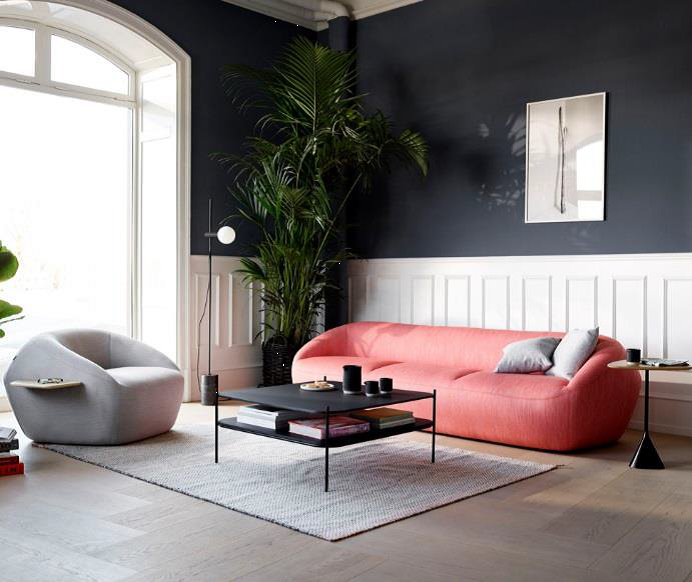 Fritz Hansen will be collaborating with Zaha Hadid Architects to showcase aspects of their Heritage Exhibition, whilst Relay Design Agency will present + Halle, Baux, Orsjo, Mitab and Zeitram within a fashion house on Clerkenwell Road. 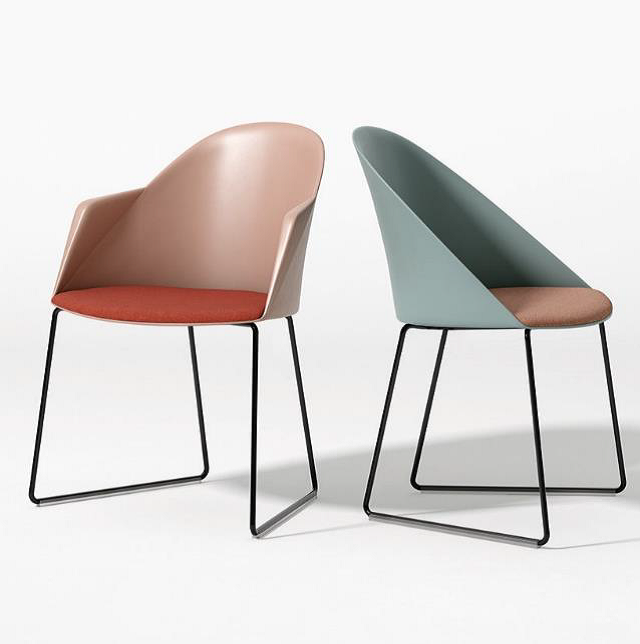 KI, one of the world’s largest manufacturers of workplace and education furniture will take over an architectural gem in the centre of the festival site. 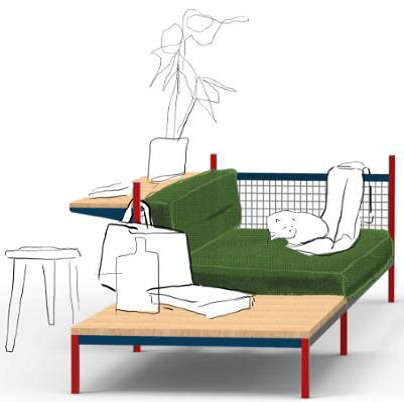 The popup showroom at the landmark Paxton Locher House on Clerkenwell Green will be transformed into ‘KI House’ for the launch of several new UK-designed & manufactured products. Other exhibitors include UHS Group Ltd and lapalma at Spacecraft.